Are you confident that the business continuity planning framework you have in place will enable the key functions of your organisation to continue, and recover, in the worst of circumstances? 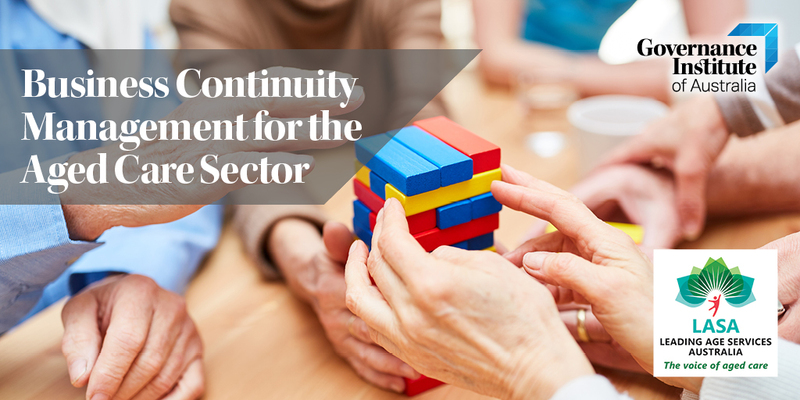 This workshop will use global cases studies to highlight the reputational and financial impact of business continuity management strategies in action to assist you to tailor your approach for your aged care organisation. This workshop will benefit you if you are responsible for BCM in your organisation or you are seeking more advanced proficiency in business continuity management within the aged care sector. craft an action plan that mitigates the impact a crisis could have on your organisation.